Much more than just left turns…. In case you have not figured it out, I like NASCAR too. This may be shocking to some but if you have been following my blog then it should not be. What is there not to like about NASCAR? There is suspense, intensity, unpredictability and competitiveness. All the things you would want in a sport, right? 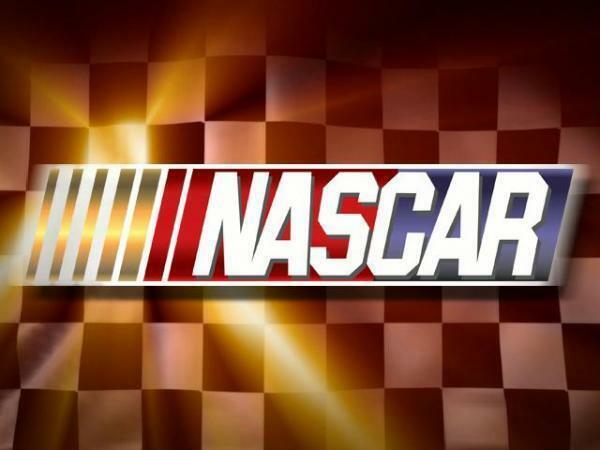 The National Association of Stock Car Auto Racing(I know you have always wanted to know what NASCAR stands for) was founded on February 21, 1948 by Bill France, Sr. I will save you the history lesson and just give you a quick overview. Currently NASCAR is made up of three divisions: the Sprint Cup Series, the Nationwide Series and the Camping World Truck Series. The Sprint Cup Series is the most popular and is NASCAR’s highest level of professional competition. The races you see on Sundays are typically part of the Sprint Cup Series. Those are the big boy races. About two years ago, I rekindled my flame with NASCAR. I was watching SportsCenter and they were doing a story on Dale Earnhardt, Jr. At the time , it has been over two years since he had last won a race. Can you imagine being the son of racing royalty(his dad was Dale Earnhardt, Sr….if you do not know who he is, Google him! ), going through a two year drought? I felt so bad for him. Sitting there all teary eyed like I had grown up playing dodgeball with Junior. So I started watching races again, just hoping and praying Junior would win. I saw him almost win. I saw him not even come close to winning. I stayed up late to see if he would win. I even saw him come within a quarter of a mile of winning last year. Notice the word within. There was no one within 50 feet of him. He had just rounded the last turn, was headed towards the checkered flag and then the unthinkable happened. HE RAN OUT OF GAS!! WHAAAAAAAAAAAT!! I was hot. How does that happen?! I wanted to know who was responsible. Who miscalculated how many more miles he could get out of that gallon? I was for real upset. Like I had money on the race upset. You drive for a living. How. Do. You. Run. Out. Of. Gas?! It would take another two years but Junior finally got into the Winner’s Circle again this year by winning the Quicken Loans 400. And guess what? I missed that race. Rats. You may not believe it but NASCAR is exciting! When I talk to my friends about it, they give me that “get outta here” look. I understand why they find it difficult to watch. Some of them only view NASCAR as a bunch of men and a woman making continuous left turns. Technically, they are right but it takes a lot of skill to make continuous left turns going 200 miles per hour. I will admit that some races are difficult to watch such as those 600 mile races. They can take foreverrrrrrrrrrrrr especially if there are crashes, which can be cool and exciting as long as no one gets hurt. I admire the courage of the drivers. I admire the tenacity of the drivers. I admire the patience of the drivers. I admire the skill of the drivers. I know how hard it is to weave in and out of traffic going 70 mph on I-40. I am not trying to see what it is like at 200 mph. No way Kassay. On Sunday, the Chase for the Championship starts. The 12 highest ranked drivers plus two wild card drivers will begin to compete in a 10 race series to determine the Sprint Cup Champion. You should really tune in. The next 10 weeks are going to be EXCITING!! I can not wait!! Cheers! Boogity, boogity, boogity, lets go chasing!!! P.S. NASCAR tidbit….if a caution flag comes out with two laps remaining then the race goes into Green-White-Checkered. Drivers may not compete while the caution flag it out. They drive under the caution flag until the track has been deemed safe again. Even if the race has exceeded the number of laps, NASCAR officials will attempt to end the race under a a green flag, racing condition. Here’s how it works. Green signals they are able to race again with two laps to go. White signals the final lap. Whoever completes that final lap first wins and receives the checkered flag. Got it?! Great! now you speaking my language Kassie!! love it! !